We hope you will enjoy our fabulous food and our true southern hospitality! 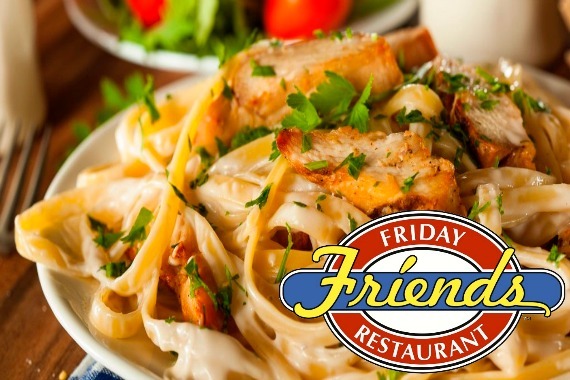 We look forward to seeing you and your friends often at Friday Friends! "This rib eye steak has your name written all over it." "Good things come to those who come see us." Great menu selection. Really like their pub chips. Good service and friendly atmosphere. Great experience, good atmosphere, excellent meatloaf. Yes, I'd like to receive news from Friday Friends. Sign up for the Friday Friends Newsletter!